Whether you are ready or not to celebrate it, February 14 is on the horizon and the calendar is ready to remind you, so how will you celebrate? And above all, where will you be with your better half? Responses to these questions could lead to endless possibilities, but what matters is the right dose of resourcefulness mixed with imagination and desire for escape! Valentine's Day could be the perfect opportunity for that much desired weekend away or, perhaps, for a last minute trip in the direction of warm and unconventional destinations. The opportunities to be evaluate with your partner are many; meanwhile, let yourself be carried away by the party-glam atmosphere and start immediately to determine which LIZALÙ FALL/WINTER 17/18 outfit to pack! The wardrobe is tinged with strong, intense and bright colors to illuminate any stage you want to step on, you'll be spoiled for choice among dresses, tops, mini or longuette skirts, as well as suits, pants and shorts. Catapult yourself into the French capital on your first flight, wander through its nostalgic streets, neighborhood boulangeries, candlelight dinners and walks along the Seine. Both of you will be overwhelmed by a wave of unstoppable love! Dynamic, multicultural, cosmopolitan. London is ideal for globetrotters and cutting-edge spirits. Notting Hill helped consecrate its success, but it is a metropolis that has always held tradition and future together. Among the most favorite places, do not miss Soho and the most innovative Lounge Clubs, as well as Piccadilly Circus, Hyde Park, the Tate Modern Gallery and, of course, a boat trip on the Thames, perhaps with an attached dinner. The Big Apple, colorful, multifaceted, tireless. 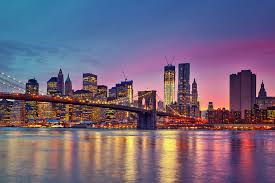 It seems to be just a name, in reality it is a real fact: New York City never sleeps, 24 hours a day, 7 days a week! Ferment, movement and trend evolution. Which film could stimulate you more if not When Harry Met Sally? A highly appreciated evergreen in which fate complicates variables and then, magically, puts everything back in its place. So, iPhone in hand, memorialize Central Park, the legendary 5th Avenue and its boutiques, Brooklyn, the Statue of Liberty, the super tall Rockefeller Center and the famous Empire State Building. In this case, for obvious reasons, your luggage will have to store several changes of clothes and accessories, but we already know that you will be super happy ... Carrie Bradshaw-style, in front of her clothes in the walk-in closet! So, ready to fly away? Lizalù wishes everyone Happy Valentine's Day!